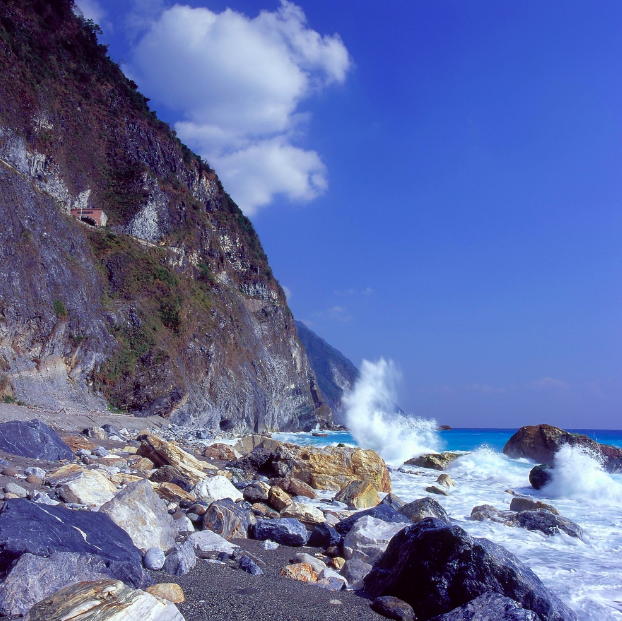 Courtesy of National Geographic, Qingshui Cliffs, Taiwan. 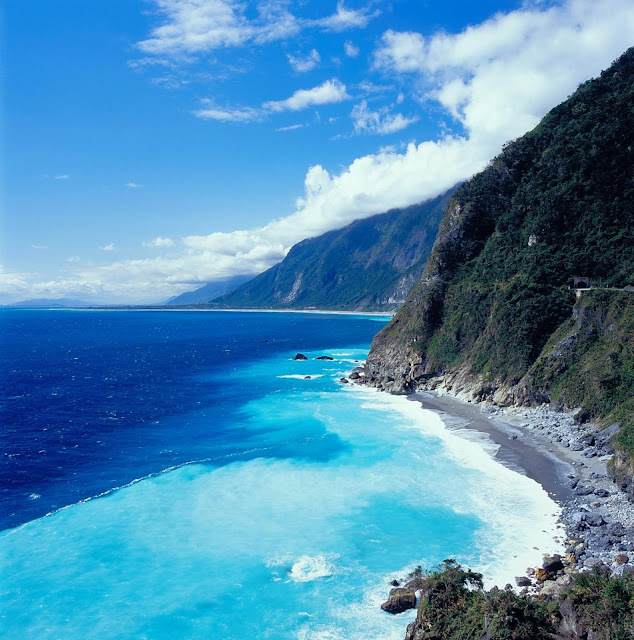 The Qingshui Cliff is a 20.9 km coastal stretch between Heping and Chongde on Taiwan's Pacific coast. 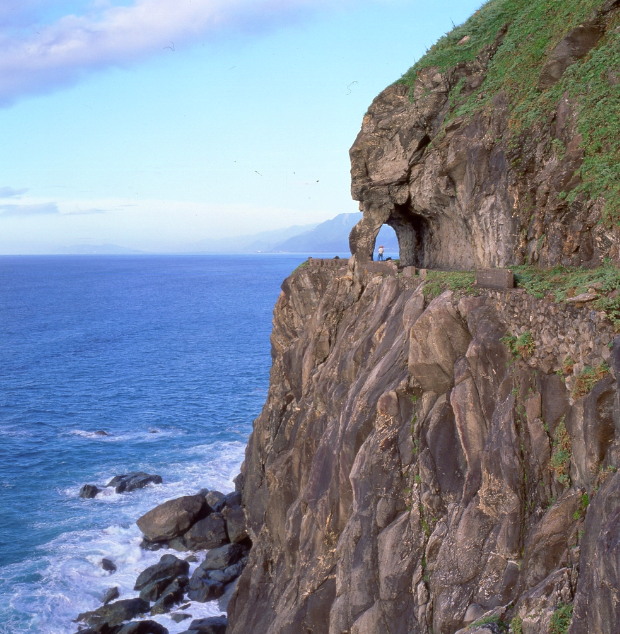 The cliffs rise more than 1,000 meters above the shoreline while a highway snakes along its meandering face. This would be a great place for a coastal swim - either a long one or a swim done in stages.